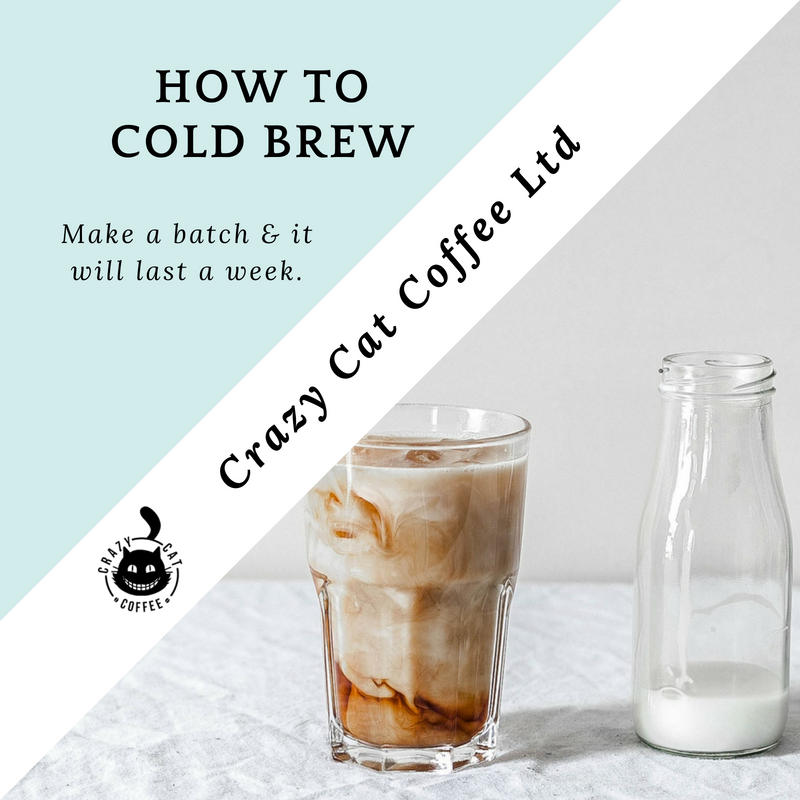 Cold brew is simple and easy to make but you have to be patient because it takes time to “Brew” and bring out the taste you are looking for. So if possible make it in advance, you can store it in the fridge for a day or 2. For starters, you need a coarse ground, same consistency as breadcrumbs. Any finer and you risk cloudy, grimy-tasting coffee. Sterilise a large mason/Kilner jar (or any large receptacle with a lid). Working to roughly a 1:8 coffee-to-water ratio, place your grounds in the bottom of the jar and cover with cold water. Stir gently until combined and leave to steep for 18-24 hours, either in or out of the fridge. After 24hrs strain using a sieve (or muslin cloth) to remove the larger grounds. Compost the discarded grounds, and then using a cleaned sieve, strain back into the jar. Repeat two or three times, until you are seeing no murky residue at the bottom as you finish your pour. If you cannot seem to sift it all out, don’t worry – it simply means your grind was too fine. Practice makes perfect with these things. Adjust the concentration of your cold brew coffee, making it stronger or less strong to suit your taste. Start with a ratio of 1:8 but reduce the water for a stronger cup. Use filtered water, if possible. This is just good coffee advice in general & your cup of coffee will have a cleaner, sweeter flavor if you do. Steep min 12 hours. The coffee needs this full time to fully infuse the water but too long and the coffee will start to extract their bitter flavours. Chill your cold brew with coffee ice cube but if want a totally undiluted coffee experience? Make coffee ice cubes to chill your iced coffee! Click the link if you would like to try our 3 Bean Coffee (medium strength 4 ) it’s perfect for Cold Brew. Coffee Ice Cubes - How to make them.